Defensive assistant Scott McCurley is the latest Packers coach to be let go. E-S-P-N reported the move Thursday. 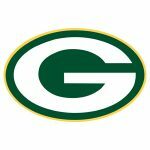 New head coach Matt LaFleur has been clearing out the assistants who had been with Mike McCarthy for several years and McCurley started as an intern in 2006. LaFleur has announced two assistant coaching hires — retaining defensive coordinator Mike Pettine and signing up Nathaniel Hackett to be the team’s offensive coordinator. LaFleur is expected to finalize his coaching staff for the upcoming season by the end of January.